There would be few people, who are not aware of the writings of the Victorian Scottish author, Robert Louis Stevenson (1850-1894). His most famous book is the outstanding and timeless novella The Strange Case of Dr. Jekyll and Mr. Hyde, which was first published in 1886 and sold 40,000 copies in only six months. The book which examines the idea of good and evil, interwoven in human nature, was inspired by, or perhaps revealed to Stevenson, one night as he lay asleep dreaming. At that period of time, Stephenson had been “racking” his brains for a plot in which he could write about “man’s double being”. Then during slumber, the dream and the plot idea came to him, and he wrote the book in a record ten weeks. Another writer whose dream life translated into a novel, is Stephanie Myer, who wrote the hugely successful“Twilight” series. In Myer’s dream, a “beautiful” man, who just happens to be a vampire, becomes engrossed in a deep conversation with an “average girl” and he soon becomes bewitched by the fragrance of her blood. The novel which burst forth, inspired from this dream, was written within six months and went on to become a publishing phenomenon. â€• Stephen King, Rose Madder. 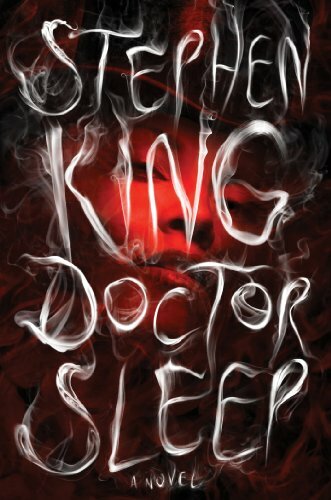 King has also expressed, how dreams have inspired his very distinctive writing. One notable example occurred when he was flying on the Concord and he dreamt about a women who killed a writer she was holding prisoner and after skinning him, covered the writers novel..... in his own skin. This dream immediately provoked a writing spree, which grew and morphed into the book “Misery“ (although I definitely have weird dreams, I have never, as far as I can recall, ever had a memory of a dream remotely like this! thank goodness!). The interesting thing about the dream state, is that dreams occur during the REM sleep stage, when brain activity is high and when there is reduced activity in the prefrontal cortex. Other parts of the brain are still active and seem to indulge in a frenzy of ad-libbing and creativity, uninhibted by the brains "reality checker". Which makes me wonder, if we could somehow find the key to the unconscious mind's creativity, could we too have the chance to create classic, or even a best-selling novel? It’s definitely worth a thought, don’t you think?